Leading NRL referee Gerard Sutton has been appointed to control Saturday's Rugby League World Cup 2017 clash between New Zealand and Tonga at Waikato Stadium, which will determine the winner of Pool B.
Sutton, who had charge of this year's NRL grand final along with Matt Cecchin, has refereed the last 10 consecutive State of Origin matches as well as the 2015 and 2016 ANZAC Tests. Ashley Klein has been given control of the other vital Pool B clash between Samoa and Scotland at Barlow Park in Cairns on Saturday, which will decide which of the two teams qualifies for the quarter-finals as the third-placed team in the pool. Super League referees Phil Bentham and Ben Thaler have been appointed to the two matches in Perth on Sunday featuring European teams, with Bentham to have charge of England-France and Thaler given control of the earlier Wales v Ireland match. 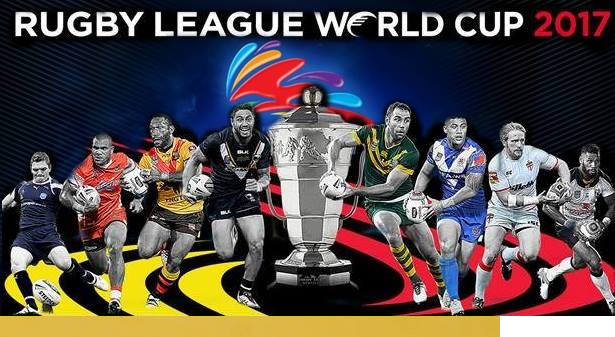 Robert Hicks will referee the Fiji-Italy match at Canberra Stadium on Friday night, while James Child is in charge of Australia-Lebanon at the Sydney Football Stadium on Saturday night and Adam Gee will control the final RLWC2017 match in Papua New Guinea between the Kumuls and USA on Sunday.